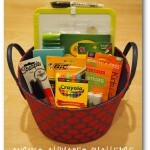 Ready, Set, Go for today’s August Alphabet Challenge! It’s our ‘R’ day and we are revving up this day with bunches of fun activities! Please don’t forget to share the fun you are having with your kids as you work through this challenge with us! We are quickly racing toward the finish line so keep up the good work, Mom! Make rainbow bottles. You’ll be filling a bottle with different densities of colored liquid. Take oil, water, and alcohol and color each one with a different color of food coloring. Then pour them into the bottle (oil first, then water, then alcohol). Let your children play and observe! Have your child help with recycling. They can help you sort your recycled goods or they can help take the recycling bin to/from the curb for pickup. Talk about the importance of recycling and get them excited about it! Make a life-size cardboard box robot to fit your child! Find a box big enough for your child to fit in. Cut a head hole in the bottom of the box and arm holes in the sides of the box. Let your child decorate the box to look like a robot and let them play! Make painted rock monster magnets. 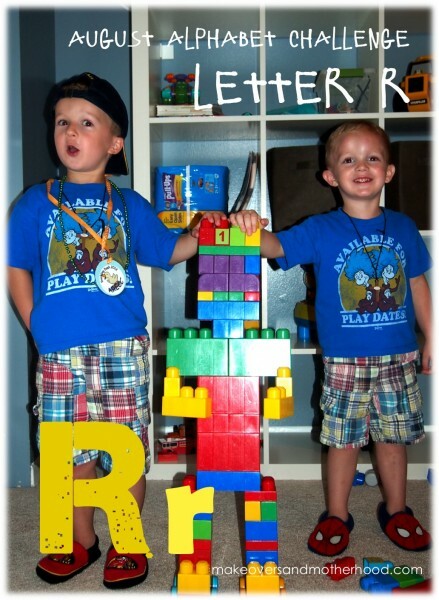 I love this idea found at FreeKidsCrafts!